*Talk of Samsung buying Tidal has been shut down by the company itself. Variety reports that Samsung will not buy Tidal, despite recent rumblings last week of a purchase resulting after the technology giant met with Tidal owner Jay Z. “The rumor of Samsung acquiring Tidal is not true,” a Samsung spokesperson told Variety, regarding the company’s stance on the matter. The spokesperson’s comments comes amid months of reports regarding correspondence between Tidal and Samsung. The rumors surrounding the companies stem from Jay Z’s personal visit with Samsung executives on the company’s campus last October. The New York Post added fuel to the fire last month with mentioning that talks resumed between both companies. The speculation over the ownership of Tidal marks the latest development in the company’s history since Jay Z bought the company for $56 million a little over a year ago. Since then, the music streaming service has seen its share of lows with a slew of management and marketing issues. Lowlights include Tidal appointing its third CEO in nine months in December as well as the firing of its COO and CFO earlier this month. Despite the setbacks, Tidal has generated increased growth in subscribers, courtesy of high-profile exclusives such as the release of Rihanna’s “Anti” album days before other services in January. That action resulted in 1 million users signing up for a trial of Tidal. With Samsung noticeably participating in the Rihanna promotion, the belief of bigger things to come from Samsung and Tidal entered into conversation from those looking at them. In addition to Rihanna, Tidal has benefited from Kanye West, who released his latest album, “The Life of Pablo,” exclusively on the service. 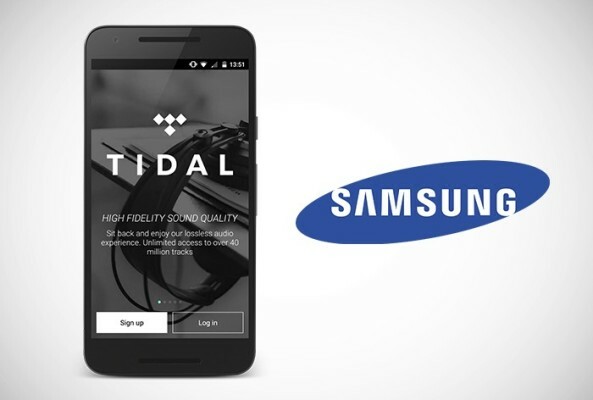 For Samsung, the Tidal rumors emerged as it struggles to find a solid music alternative to competition from Apple Music and Spotify, which is reportedly still interested in Tidal. Although it launched Milk Music exclusively to users of its devices two years ago, Variety notes that it looks like the Pandora-like streaming service will be shuttered in the coming weeks.